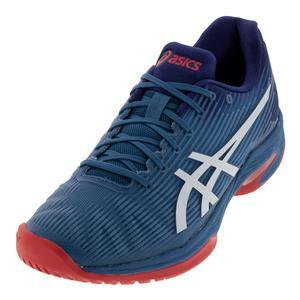 ASICS has introduced their popular FlyteFoam® Midsole Technology into a speedy frame to create the high-performing Men`s Solution Speed FF Tennis Shoe. 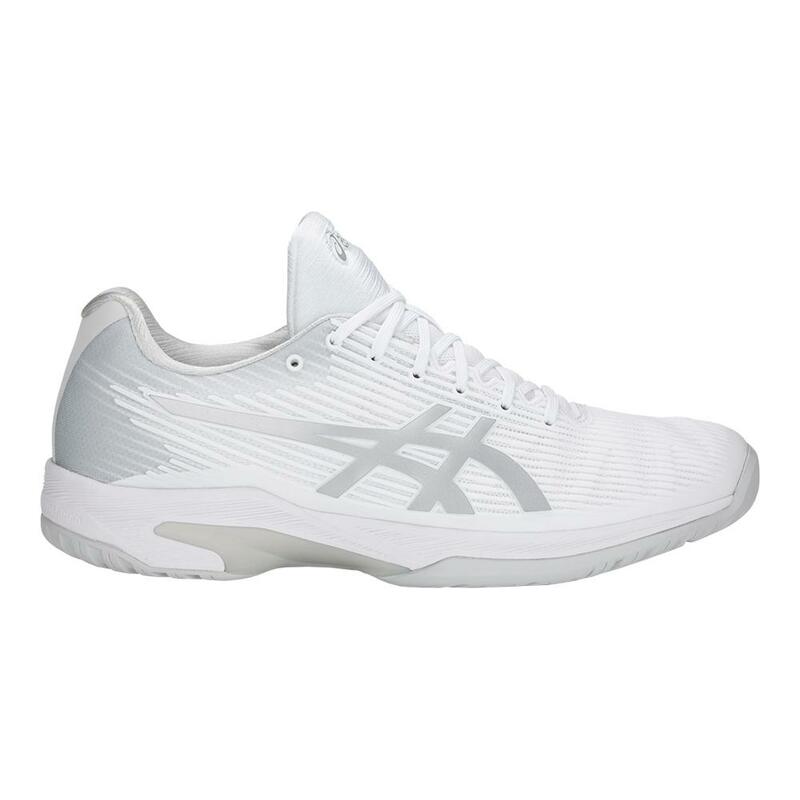 This shoe combines some of the best qualities from the Gel-Solution Speed 3 and Gel-Court FF to create a state-of-the-art, lightweight shoe. 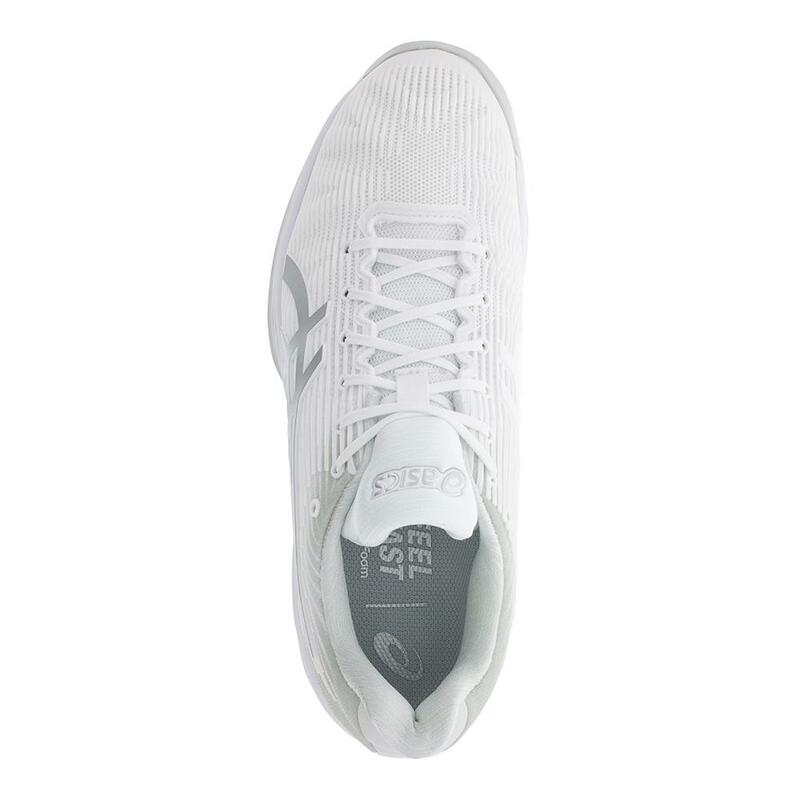 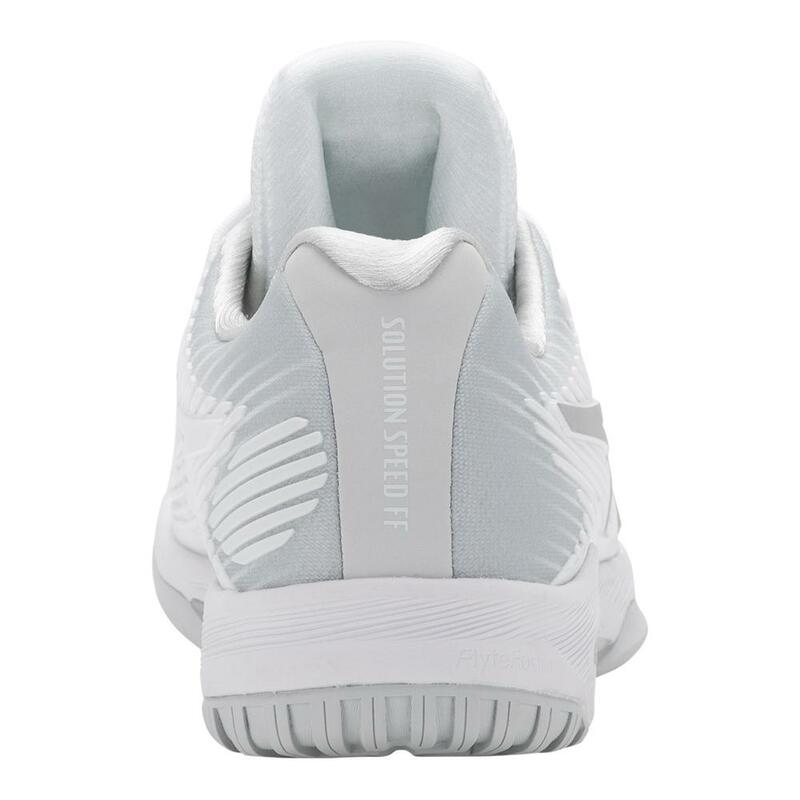 Outsole: The Twistruss System (a variation of Trusstic™) reduces the weight of this speed shoe's sole unit, yet retains the structural integrity of the shoe. 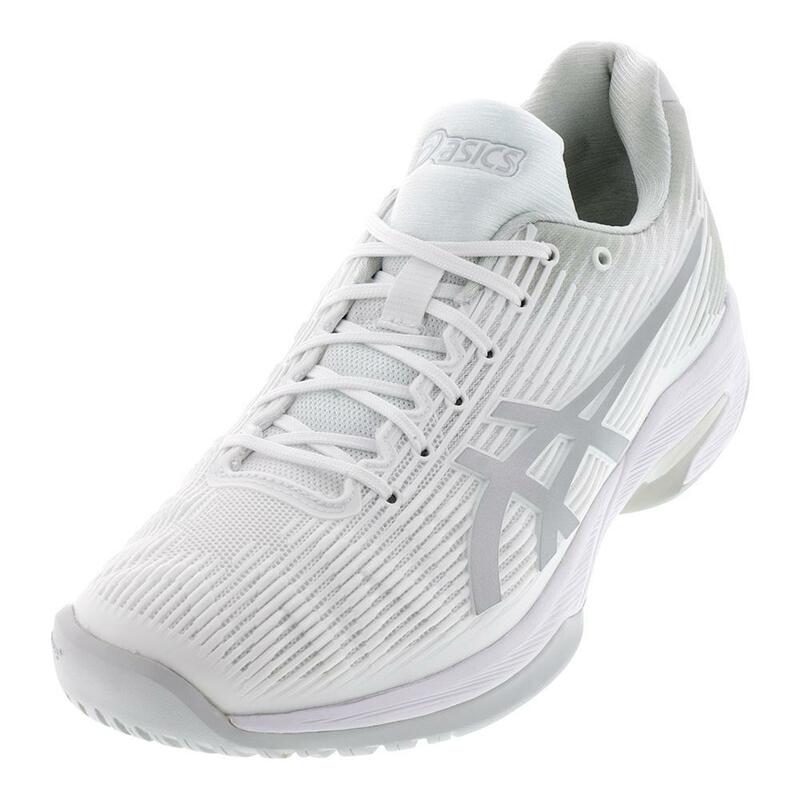 AHARPLUS™ outsole material boasts 3x the abrasion resistance of conventional rubber compounds. 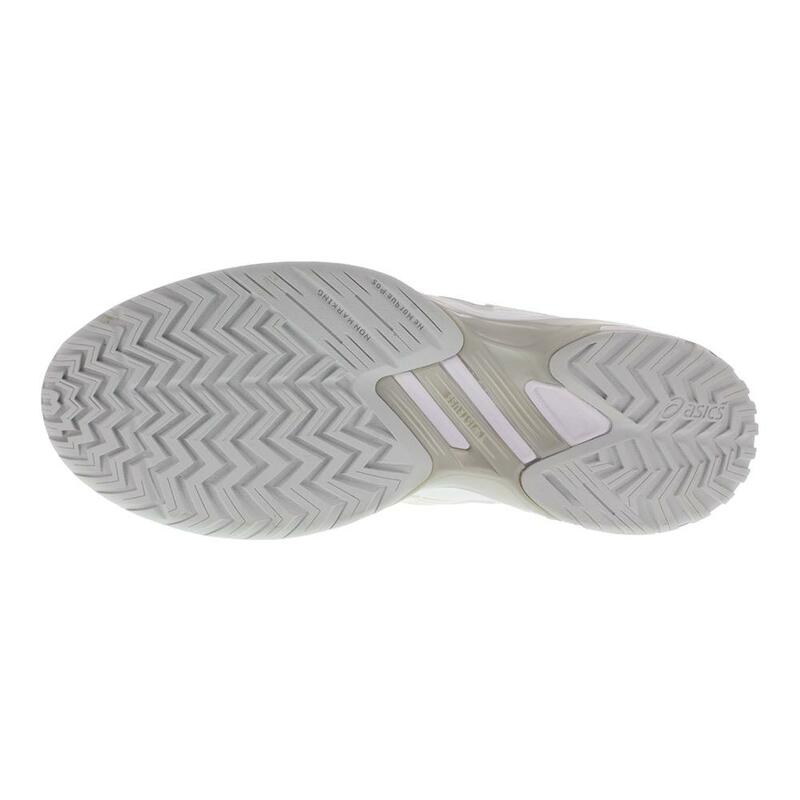 The PGuard Toe Protector ensures enhanced durability for toe draggers. 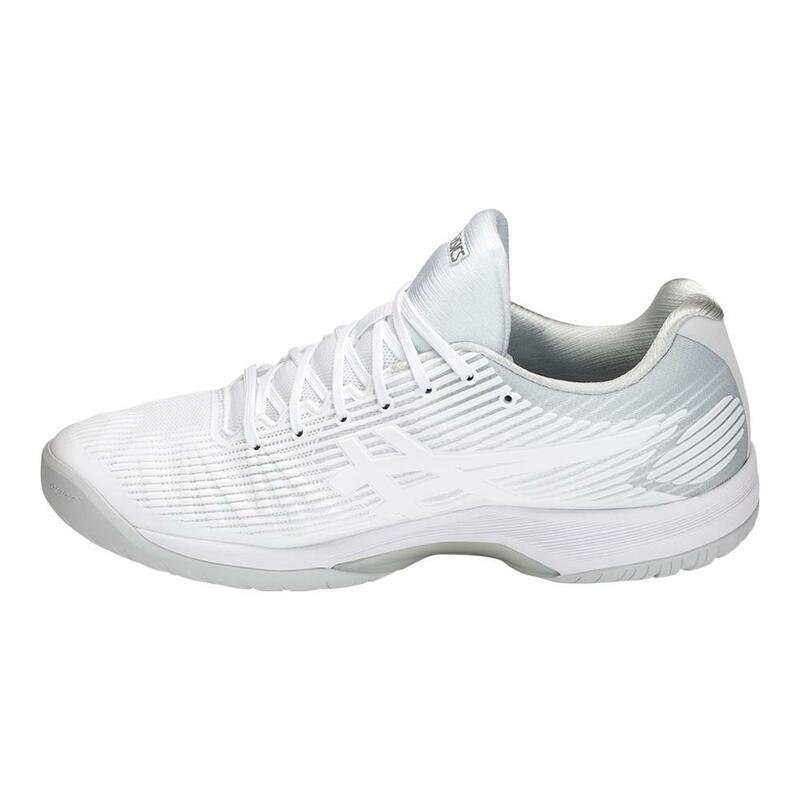 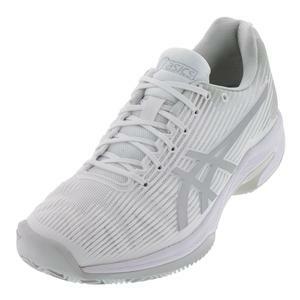 The modified herringbone tread pattern will grip any surface, but is particularly well-suited for hard courts.